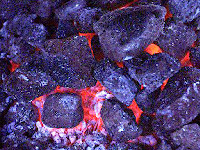 Price of Steam Coal is as agreed (Deal). Payment is made by L/C at sight 100% Irrevocable Non Transferable and confirmed by any bank. LOI (Letter of Intent) should be direct and original from the buyer and is not represented by any other party. Mandate buyer should be responsible to the owner from the beginning process of the contract until the actual contract has been signed and the L/C has been issued. The Buyer should have a legal representative in Jakarta to guarantee their credibility. The Buyer is ready to make a legal contract with a payment method of 100% L/C to the Seller that follows FOB MV terms. The Buyer should also send the draft of the L/C to the Seller’s Bank for approval before issuing the L/C to the Seller. Time limit until the actual contract is signed is 1 (One) to 5 (Five) working days. Time limit to issue the L/C to the Seller is 1 (One) to 5 (Five) working days after the date of the signing of the actual contract. Time limit for the survey of the mining site is 3 (Three) working days after signed contract. Time limit to complete the cargo is 30 days after L/C Operative is “ON” or 45 (Forty five) to 60 (Sixty) working days after the date of the signing of the actual contract. The validity of the L/C that is issued by the Buyer is 60 (Sixty) working days. Time limit for the loading of vessel is 7 (Seven) to 10 (Ten) working days after the Laycan date. To continue the buying process, we require a Letter of Intent from the Buyer that agrees to our terms and conditions that are stated above.